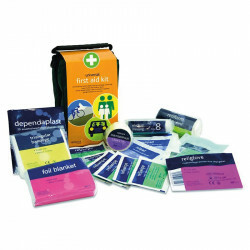 Purchase 50 or more Masterchef Blue Catering First Aid Kit Refill - 20 Person s and download your free support pack worth £100. Purchase 200 or more Masterchef Blue Catering First Aid Kit Refill - 20 Person s and you can have personalised covers absolutely free! 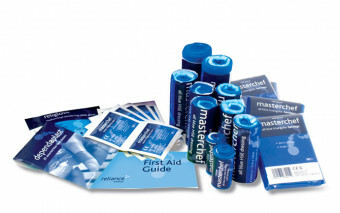 A refill for the 10 person Masterchef Blue Catering First Aid Kit. Available in pack sizes suitable for 10, 20 or 50 people. Please note the 50pk has a 3-5 day dispatch time.